So you’ve got a modern home. And you’ve got a little girl who’s grown out of her crib, conversion kit to toddler bed, and those cute monkey wall graphics you bought while in the ‘nesting’ phase of your pregnancy. What’s more, she’s decided she loves pink. LOVES pink. Oh, and Mom, she’s also really loves princesses. And tutus. And anything shiny, glittery, or reflective. At RFYO, we’re here for you. So let’s take a deep breath. And let’s start with a wonderful compromise. . . a vintage bed frame. 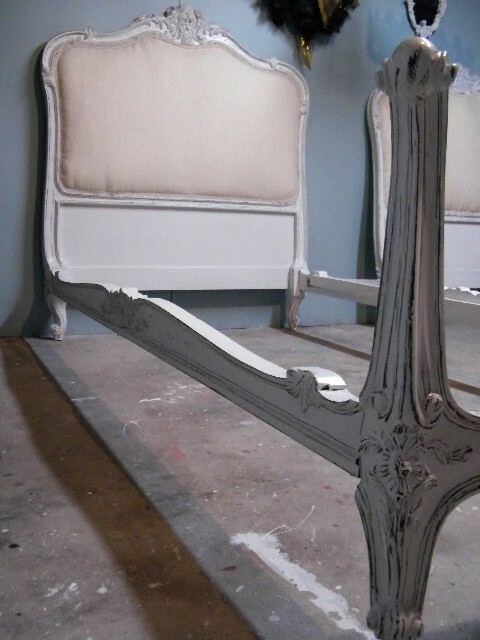 I discovered this reupholstered set of french ‘shabby chic’ bed frames at an Etsy shop called Antique2Chic, based out of Birmingham, Michigan. The beds are $600 each – I agree, a bit steep – but consider them the centerpiece of the room. The fabric is a beautiful blush-toned linen, perfect for you to play with your pinks and also to be a bit brave with the rest of your decor. And the nice thing is that once you have the bed in place, you’re now free to use super-new and modern pieces to offset the vintage feel of the piece. So, Mod Mom, what’s next? How about going black and white and really BOLD with your graphics? I think butterflies would be a pretty good bet too. Here’s my suggestions, including a mix of Kartell, George Nelson, IKEA with some Target thrown in for good measure. Click here (girly chic) to enlarge the PDF. Thanks for noticing, Esther! I’ve been especially in need of some creative writing lately. 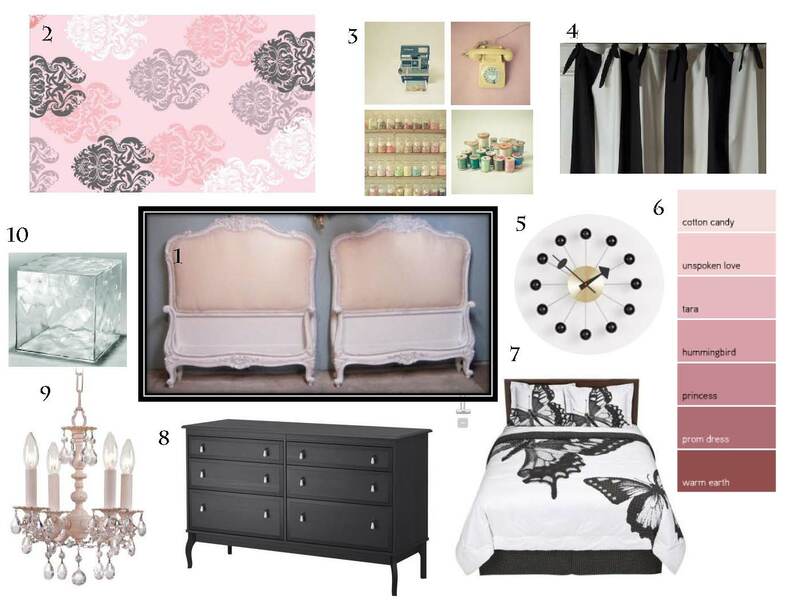 Thanks again for featuring my vintage French beds on your website, love your idea board. I sell a lot of vintage beds here out of Michigan, along with other pieces, and I have more and more customers who want a vintage statement piece mixed with a modern aesthetic flair. Love the “princess pink” Benjamin Moore paint and have just used that color for a customer on her husbands childhood dresser. 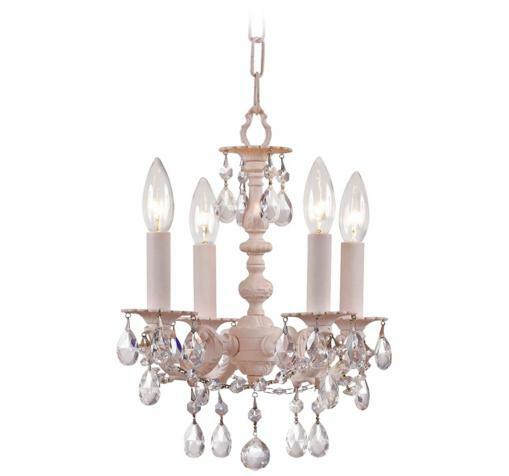 The brass hardware was not that tarnished, and she wanted that look. Thanks for the feedback, Karen. I see you’ve already sold a bed! Yay!